Here is an easy and cheap gift idea for you all. This Merry Kiss-mas printable would be great as a teacher or neighbor gift. It's even better as a class printable! 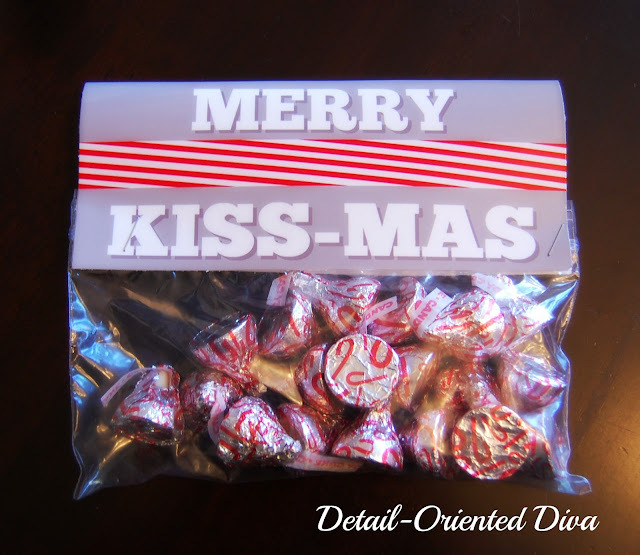 This printable is ready to go as a fold-over card for a regular 6.5 inch wide ziploc bag. Just cut out the printable and fold over and staple on both sides. 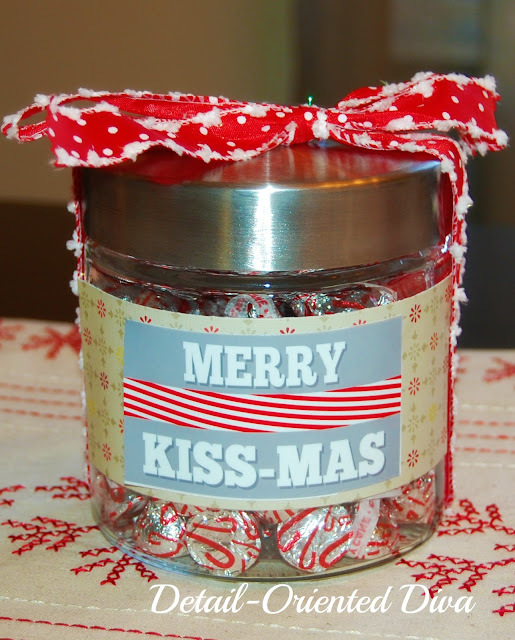 Or just cut out the printable and place on a jar of kisses. I used the Candy Cane ones. LOVE this! I've been trying to think of easy gifts for my co-workers. This is PERFECT! Thanks for sharing!